Beaverpond marstonia, we hardly knew ye. After years of a back and forth on whether to list the tiny freshwater snail as an endangered species, the Fish and Wildlife Service announced on Thursday that the species was functionally extinct. It’s the first species to go extinct in the U.S. under the Trump administration, a footnote of history that actually wasn’t due to Trump’s negligence (though he’s doing plenty of endangered species foot dragging to harm other species awaiting listing). The snail was first discovered in 1977 in Georgia’s Flint River watershed. But the last sighting of the snail, which called three streams in the watershed home, was in 2000. At around 0.2 inches in size—roughly the size of an ant—and with a penchant for clinging to plant stems in delicate areas, the snail was exceedingly hard to find. The Center for Biological Diversity put in a petition to list the species as endangered in 2010. Fish and Wildlife scientists agreed it warranted a closer look, and spent years gently rooting around the streams the beaverpond marstonia once called home. Imm said droughts were likely a main driver in its disappearance. The recent drought worst was in 2007, when then-Governor Sonny Perdue (now head of the U.S. Department of Agriculture) hosted a day to pray for rain. During the drought, Lake Lanier, Atlanta’s main water source, nearly dried up completely. A handful of other notable droughts have hit the state since then, most recently late last year into this spring. Tierra Curry, a senior scientist at the Center for Biological Diversity, told Earther that pollution and withdrawing groundwater, which can also dry out streams, played a role in the snail’s demise, too. She added that the Fish and Wildlife Service was dragging its feet rather than protecting habitat proactively. 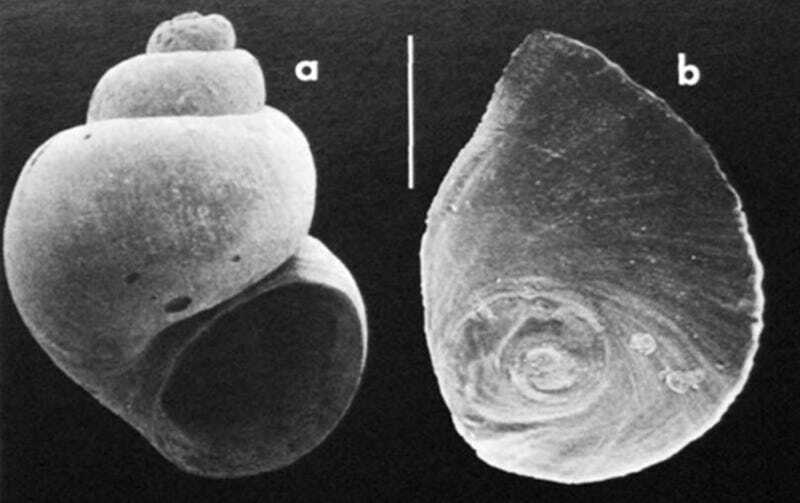 Researchers found some samples that looked like the snail last year, but genetic analysis by Smithsonian showed that no, they were another member of the marstonia genus. Sadly, beaverpond marstonia isn’t the first species that went extinct while waiting to get listed as endangered or threatened. “This snail is at least the 45th species that had been identified by the USFWS as a candidate for ESA listing to go extinct without getting listed,” Curry said. It’s sad to lose something so uniquely situated to a specific place, but for the more pragmatic among us, snails like the beaverpond marstonia are good indicators of water quality. There’s a chance the snail’s story isn’t over. The burgeoning field of testing for DNA in streams may help researchers determine if members of the species are still hanging around, a prospect that wouldn’t surprise Imm. So, pour one out for the beaverpond marstonia for now, but be ready to potentially pop some bottles in the future.